ALSO THE SURPRISE LINK AND YOU TUBE WILL BE OUT IN 2 DAYS; YOU WILL FIND OUT WHAT THIS AWESOME NEW TO HUMANITY, BY LISTENING TO LINK ABOVE. ENJOY!! e Diamond. 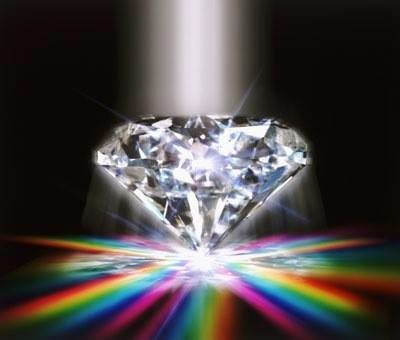 Much Love To All YOU Diamonds!!! HERE IT IS!! GO BEYOND AWAKENING!! OUR MISSION TO AWAKEN THE HEARTS OF ALL OUR BROTHERS AND SISTERS. Join us Live!! every SATURDAY at 1 p.m. Central, 2pm EST.Diamonds Forever 31 Show, with News update and Special Guest's. All energy contribution much appreciated! Please Diamonds give Energy back in Kind. thank YOU!! Just how bad is Eli Lilly? Well, consider the fact that this company bought the highly controversial bovine growth hormone (rbST or rbGH), which was a product of Monsanto, for $300 million dollars. In the video below, Dr. Virapen, explains some startling actions of not just Eli Lilly, but Big Pharma as a whole. Yemen President Abed Rabbo Mansour Hadi has resigned under pressure from Shiite rebels who seized the capital in September and have confined the embattled leader to his home for the past two days. Presidential officials said Hadi resigned after being pressured to make concessions to the rebels, known as Houthis. He had earlier pledged political concessions in return for the rebels withdrawing from his house and the nearby presidential palace, but Houthi fighters remained deployed around both buildings throughout the day. Military officials close to the president, who like the other officials spoke on condition of anonymity because they were not authorized to brief reporters, said Hadi resigned after the Houthis pressured him to give a televised speech to calm the streets. State Department spokeswoman Jen Psaki said Thursday that the U.S. is assessing and seeking confirmation of the report. "We are seeking a peaceful transition," she said. The Yemeni government also submitted its resignation Thursday. Prime Minister Khaled Bahah's resignation came as the U.N. envoy to the Arab world's poorest country met with representatives from the rebels, known as Houthis and other political factions to try to implement a deal reached Wednesday to end the crisis. Under the agreement, the group's militias were to withdraw from the presidential palace and key areas of the capital they have overrun in recent days in return for political concessions. It remains unclear who really controls the country. Twenty-four hours after signing the deal, heavily armed Shiite rebels remained stationed outside Hadi's house and the presidential palace. Bahah's technocratic government was formed in November as part of a United Nations-brokered peace deal after the Houthis overran the capital in September. In an attempt to end the logjam, U.N. Envoy Jamal Benomar arrived to the country and held a meeting with Houthis and other political factions to push for implementation of the deal. In a brief press conference before the meeting, Benomar told reporters that the deal -- in essence an activation of the previous UN-brokered agreement struck in September when Houthis overran the capital -- is "the only solution for Yemen." Yemen's emerging power vacuum has raised fears that the country's dangerous Al Qaeda branch, which claimed the recent attack on a French satirical weekly, will only grow more powerful and popular as the nation slides toward fragmentation and the conflict takes on an increasingly sectarian tone. The Shiite Houthis and the Sunni terror group are sworn enemies. While the capital was free of violence, clashes did erupt southeast of Sanaa between Houthi gunmen and local tribesman. Tribal leaders said two tribesmen and four gunmen allied with Houthi rebels were killed in Khawlan-Watadah, 30 miles from Sanaa. The violence appeared to subside by midday, but a serious flare-up in the region lying along the road to Marib province, an oil-rich area in central Yemen and a haven for Al Qaeda fighters, could torpedo peace efforts. At the entrance of Marib itself, clashes also erupted between Houthis and local tribesmen over new checkpoints erected by tribal fighters. HAVANA — On the first day of historic talks between U.S. and Cuban officials, Jose Antonio Marero Perez went about his daily business: working as an accountant in the morning and spending the afternoon waiting in line to buy credit for his cellphone. But his mind was keen on the meetings that started Wednesday. Perez, 62, has followed the news closely since the dual announcements Dec. 17 by President Obama and Cuban President Raúl Castro that the two countries were restoring diplomatic ties. 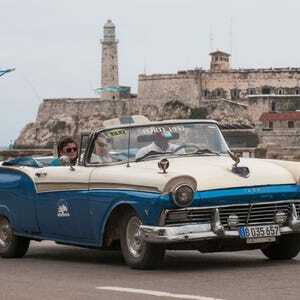 "It's the best thing that could happen to us," said Perez, of the Buena Vista section of Havana. "First they start talking. 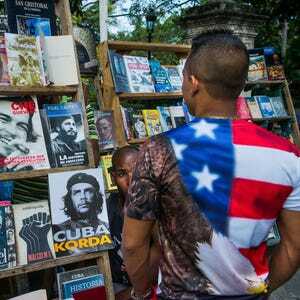 Then it's time to end the economic embargo." 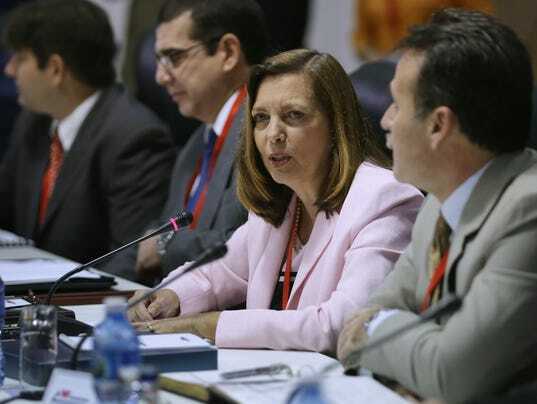 The talks between U.S. Assistant Secretary of State Roberta Jacobson, the top U.S. diplomat for Latin America, and her Cuban counterpart — Josefina Vidal, head of the Foreign Ministry´s North American affairs division — are the first in 38 years involving a U.S. official of that rank. 1 day ago - President Barack Obama delivers his State of the Union address to a joint session of Congress. AP Photo ... 10:23 p.m. SPEECH STATS — Obama's speech came in at just ... Mitt Romney (@MittRomney) January 21, 2015.